In this age of digital communications and declining readerships, there is one element of print media that is thriving: business to business communications. The Printing Report investigates why. Businesses have long used print marketing – both for direct marketing and in business publishing. What is more surprising, perhaps, is that business appetite for print media is undiminished in this digital media age. Two Sides, a trade body for members from the graphic communications supply chain, has offered some insights into the reasons why. 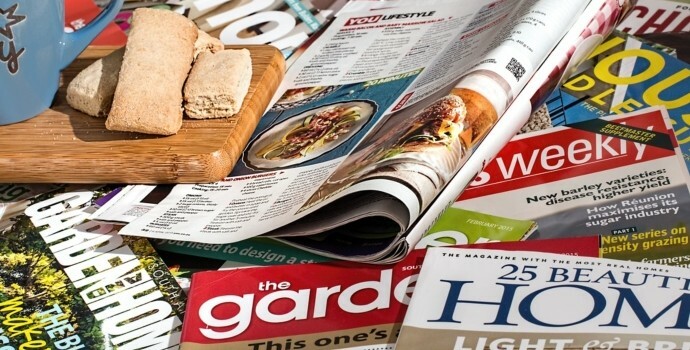 A survey, from Two Sides, conducted in 2018 showed that 63 percent of readers prefer print when they are seeking a deeper understanding of a news story. In this era of Fake News, consumer trust in print is a highly valuable commodity. Furthermore, the latest Edelman Trust Barometer has confirmed that print media has experienced a sharp rebound in public confidence. In 2018, it reached a high of 61 percent – an increase of 13% on the previous year’s rating. Rachel Aldighieri, Managing Director of the DMA, makes the point that print media has other tangible advantages. The advantages of print are enhanced when businesses exploit the full opportunities of digital printing – it offers increased opportunities for personalisation, and makes smaller print runs cost-effective. This presents businesses with new opportunities to leverage print media. Direct mail excels in pin-point targeting. Business publications reach highly targeted new audiences. Both create a tangible experience that can stick around long after a social media post has faded from memory. Little wonder, then, that B2B print media continues to thrive. Next PostWhy Are Photobooks Sales Booming in the Digital Age?